North Omaha is a community located in Omaha, Nebraska. For the purpose of this website, I define North Omaha by the boundaries I knew growing up: From Dodge Street on the south to 72nd on the west, the Missouri River on the east and Ponca Hills on the north. East of North 72nd and north of Dodge Street, North Omaha includes all of the northeast corner of Omaha. My name is Adam Fletcher Sasse. I am a professional writer and speaker who runs a small consulting firm in Olympia, Washington. 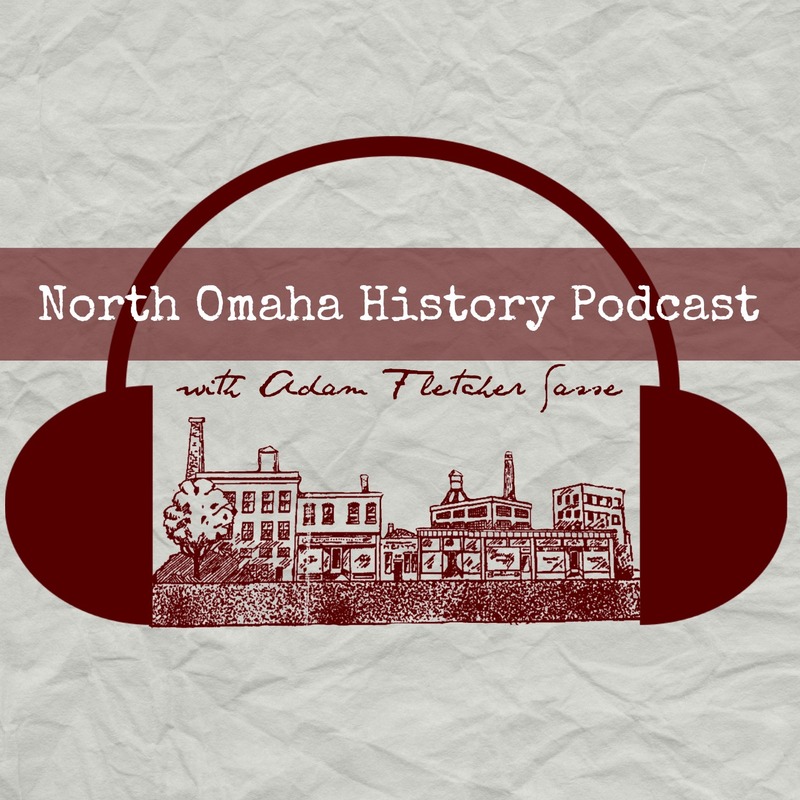 I am the author of North Omaha History Volumes 1, 2 & 3; the editor of NorthOmahaHistory.com; the host of the North Omaha History Podcast, and; an architectural drawer focused on North Omaha’s built environment. I grew up in North Omaha in the Miller Park neighborhood for more than a decade from the mid-1980s through the mid-90s. Growing up in these historical, predominantly African American neighborhood, I was a bit of an anomaly: I was a goofy white Canadian kid in cowboy boots and corduroy pants. But I devoured history, especially the stories of the place where I was growing up. I graduated from North High School. While the leadership of the school was mostly African American, I don’t know if any of the teachers to have a specific appreciation or interest in the African American history of Omaha, and I don’t remember being taught anything about it. The history of the people who established the neighborhoods was hard to find, and that is part of what makes this history so alluring to me. The other part of why I write this is because of my mentors and friends. One of my mentors was Idu Maduli, who taught me the neighborhood’s history when I was young. I also learned glimpses of the city’s history from other mentors, including Rev. Helen Saunders, many of the people at Pearl Memorial United Methodist Church, Von Trimble, and Mr. and Mrs. Hickerson, who I lived next to on Ellison Avenue. I owe all of them a debt of gratitude. My high school girlfriend was the first history sleuth I ever knew, uncovering the Trans-Mississippi Exposition when I had no idea there was a history where I lived. I can only hope to ignite young peoples’ imaginations the ways these people ignited mine when I was young. This website is meant to explore the history of the community where I grew up. I am not a professional historian, and don’t have all the access I need in order to tell every single story as deeply as I’d like to. On this website I explore topics that intrigue me, that I love, and that I want to learn more about. I wanted to change that for young people in North Omaha today. Luckily, there is more interest than I’ve seen in three decades coming out in the community today. While a lot of it is focused on gentrification and a glorified vision of the way things used to be, some interest is focused on preserving the community’s history while moving forward into a positive, powerful future for today’s North Omahans. I support that work. Use the comments on each article to share your thoughts. Feel free to reach out and share your stories, ideas, and info with me by emailing me. All written content on this website is copyright 2009-2019 by Adam Fletcher. All rights reserved. Permission to reprint, share and otherwise distribute the written content of this website is granted only for nonprofit educational purpose. For information and clearance contact me. All visual material used herein is used in good faith and provided on the internet for nonprofit educational usage only. No permission is granted to reuse any image included herein by Adam Fletcher. All copyrights belong to their owners. Images included here are for used for personal, nonprofit educational purposes only. Information regarding re-use, copying, and otherwise redistributing the images can be found at the following URLs. My family, including Robert and Charlette, Ian, Anne and Elva. The former Pearl Memorial United Methodist Church congregation, including David Porter, Margaret Gilmore and others. My mentors in the former Umoja District of Mid America Boy Scout Council, especially Von Trimble, Charlie Goff, Bill Bolte, John Stokke, and Chuck Livengood. The 1992 Urban League Youth Leadership Program. My history teachers Jeff Koneck at Miller Park and Mark Schulze at North High. Guest writers including Karen Clopton, Michele Wyman, Jody Lovallo, Ryan Roenfeld and Patrick Wyman; and guest contributors including Micah Evans and Michaela Armetta.